Can Modern LASIK Shave 5 Strokes Off Your Game? Read on to discover how the latest in vision correction technology can help you see your ball from tee box to green, read the tiny print on the score card and even lower your handicap. If you’ve tried to golf with readers or bifocals, you know what a pain it can be. Constantly trying to read the score card, losing track of your ball down the fairway, even reading the green can be difficult with sub-par vision. Why does your vision seem to fade and diminish like this, even if you could see clearly in the past? Without getting too far into the tall grass, let's talk briefly about what happens to our eyes as we age. As we get older, the lenses in our eyes just don't work the way they used to. We all have a lens within the front of our eyes. As we age, this lens becomes more rigid, and the muscles around the lens get weaker. We call this the Mid-Life loss of Zoom Vision, because it means the eye can no longer zoom in to focus up close. It's why you find yourself holding your scorecard at arm's length just to read it, and eventually pulling out readers or bifocals when your arm's not long enough. You may also notice a loss of depth perception, particularly as you address the ball, and even a loss in the ability to focus on your ball from point of contact down the fairway. If your golf partners roll their eyes the 30th time you say, "Did anyone see where *that* one went?" then you know what I'm talking about. Yes, it's frustrating. Good news is, it doesn't have to be this way. The solution is an advanced form of Modern Vision Correction called the Refractive Lens Exchange treatment, commonly known as RLE. Unlike LASIK, which reshapes the surface of the eye, RLE actually replaces the affected lens within your eye, treating the root cause of your poor vision. During RLE, your surgeon exchanges your faulty lens with a multifocal lens, designed to allow focusing at a range of distances, near to far. The result: many who have RLE are able to reduce or eliminate their glasses for most daily activities, including those on the golf course. What are the results? Just ask the expert. "We've helped hundreds of golfers be able to address the ball with strong depth perception, be able to look up and see their ball at a distance traveling down the fairway, and even read the scorecard with visual clarity, free from glasses or contacts." says Greg Parkhurst, MD, founder of Parkhurst NuVision in San Antonio. Another Bonus: RLE patients can rejoice they will never have to undergo cataract surgery. To answer the question: Can Modern LASIK or RLE *really* shave strokes off your golf score? Patients say yes. Not only that, but the entire game is more enjoyable. “Everything is great! I am so satisfied and glad I had my procedure. I can watch TV from any distance, and I can play golf better too!” says Austin, Parkhurst NuVision Patient. Change your game and change your life with Modern Vision Correction. 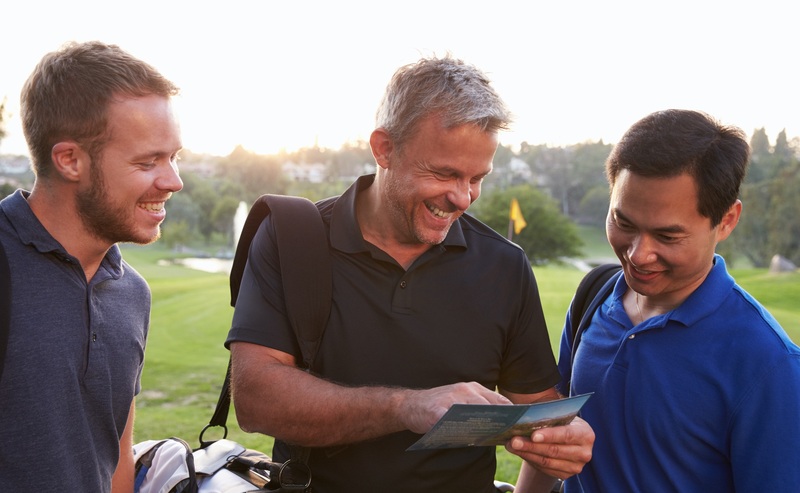 For more information on your options for vision correction to improve your golf game and many other aspects of life, click the button below to complete an info request, and one of our team will reach out to answer your questions. You can also call direct - (844) 834-2020.